Antivirus evasion as a topic has always fascinated me. When I began my graduate computer science studies many years back, I originally proposed a topic to my advisors about improving antivirus engines to detect polymorphic viruses by mapping execution flows in binaries. As graduate studies go, this topic was ultimately shot down and I eventually settled on another research topic. Bypassing antivirus is a necessary evil if you work in penetration testing or red teaming. It's also one of the more frustrating areas -- Frustrating, because "signature-based" antivirus software is both pretty ineffective at blocking threats, but at the same time is sometimes a pain to evade. The popular wisdom to evade antivirus is "write your own custom tools." That's great advice if all you need to do is write a simple reverse shell, or if you have a large budget and lots of time to develop a well polished C2 infrastructure from scratch. The rest of us rely on the huge wealth of open source (and commercial) tools developed by folks in the security community. Yes, I want to be able to run something like mimikatz on an engagement and not jump through massive hoops to do so. In comes Empire. If you aren't familiar with the tool, Empire is a post-exploitation C2 server that includes a wide variety of offensive tools. It's a powerful tool to use as part of an offensive operation, if it doesn't get flagged by antivirus in the process and become an unusable frustration. For a while, Empire was pretty good at evading things like Windows Defender. This is no longer true. 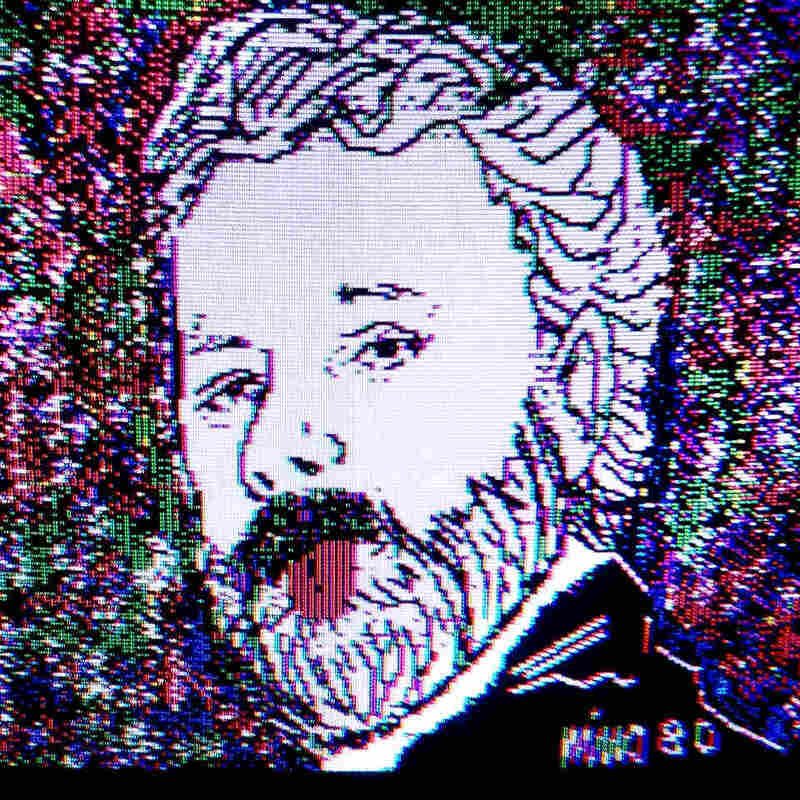 If you create a generic http listener agent payload and execute in-memory, without even touching the disk, you will likely see something like the following. Windows Defender busted us! I guess it's time to pack it in for the assessment, right? No way! By tearing into Empire a bit (yea for free open source software! ), we can easily modify some key areas and bypass that pesky client-side antivirus. 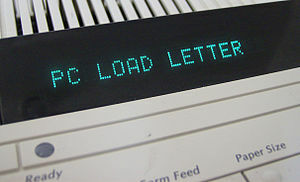 Research presented at last week's DEF CON security conference demonstrated some dead simple attacks on the fax machine protocol in many popular printers. 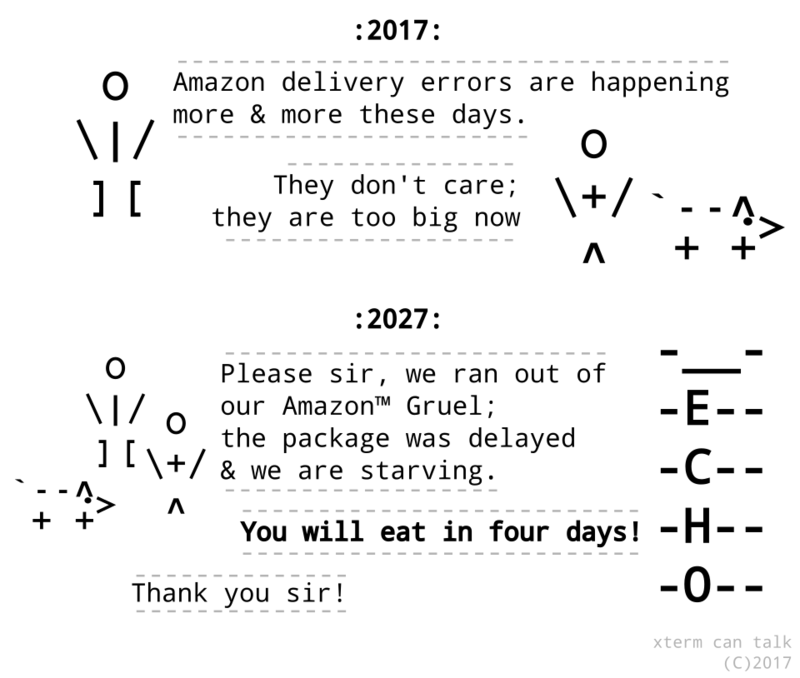 Earlier this week I had the privilege of providing insight for a Bleeping Computer article about the impending time-bomb that is world-writable Amazon S3 buckets. While S3 security is not a new topic, what gets the most attention are world-readable S3 buckets containing sensitive & confidential data. In fact, FedEx was in the news last week for leaking sensitive passport data via S3. However, the S3 insecurity topic this week is renewed interest in world-writable buckets. A quick aside for folks new to the topic: S3 is a product provided through Amazon Web Services that allows anyone to create cloud-based file storage. These so called 'buckets' are basically virtual internet accessible hard drives. Unfortunately, they are often misconfigured and allow misuse by attackers looking to steal or manipulate data. What likely got conversation going again this week was a security researcher who began placing warning messages in exposed writable S3 buckets with the filename POC.txt. The file itself was not malicious, but warned the account owners that they are at risk to malicious attackers. Summary: A method is detailed - dubbed CSS Exfil - which can be used to steal targeted data using Cascading Style Sheets (CSS) as an attack vector. Due to the modern web's heavy reliance on CSS, a wide variety of data is potentially at risk, including: usernames, passwords, and sensitive data such as date of birth, social security numbers, and credit card numbers. The technique can also be used to de-anonymize users on dark nets like Tor. Defense methods are discussed for both website operators as well as web users, and a pair of browser extensions are offered which guard against this class of attack. Want to check if you are vulnerable? Use the CSS Exfil Vulnerability Tester. Install the Chrome or Firefox plugin. Several months ago I began tinkering with Chrome's XSS auditor looking for bypasses. One remote injection method which reliably got through Chrome's filter was CSS injection. By utilizing injected CSS, an attacker essentially has complete control over the look-and-feel of a page. I also discovered an attacker can leverage CSS to steal form data. By utilizing CSS alone, browser protections like NoScript can't block the egress of data (although NoScript's XSS auditor is more effective than Chrome at blocking some of the injection Proof of Concept attacks detailed below). While CSS injection is not a new vulnerability, using CSS as the sole attack vector to reliably exfiltrate data - to my knowledge - has never been presented. I am also not aware of any effective method previously documented to guard end users against such attack - other than to block CSS, which is not a practical solution. My son loves building and Lego bricks are some of his favorite toys. He's also the son of a ham radio operator and is absolutely fascinated with radio antennas. 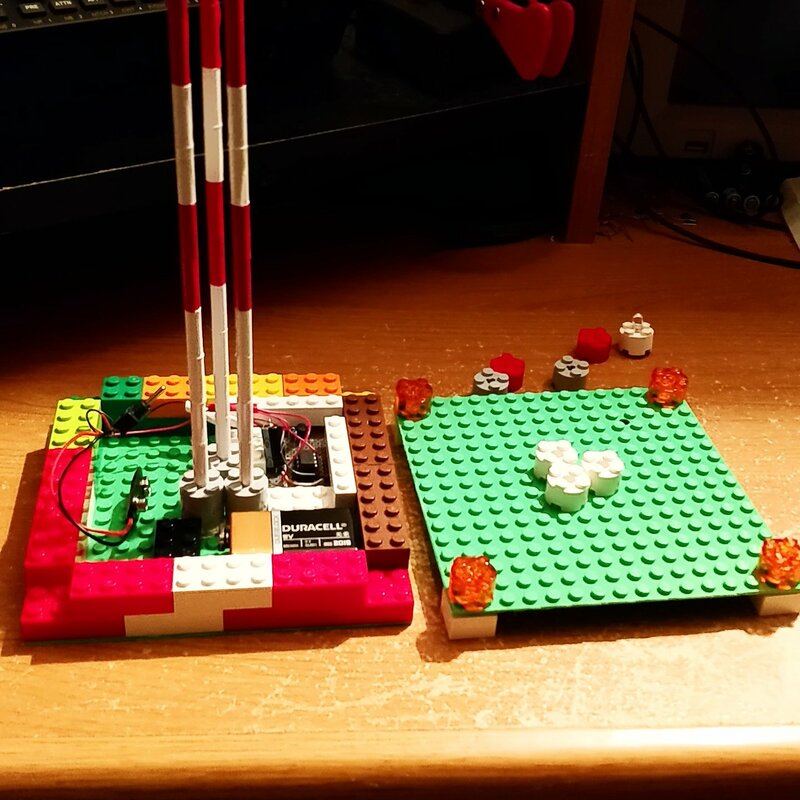 For Christmas I built him a model radio tower complete with red pulsing lights and a Lego base. Want to know an easy way to get hacked? Leave your sensitive data exposed publicly to the world. It seems like not a week goes by without another story of a company or government leaking sensitive data on public AWS S3 buckets. S3 is a service that allows anyone to create cloud file storage, and by default is web accessible. Amazon recently made an update to their administration console to indicate if a 'bucket' is public, but there are a lot of historical/misconfigured buckets out there set as public when they should not be. The issue is certainly not isolated to S3. I was recently evaluating a piece of software for a client and noticed that sensitive data was being exposed though cache files which were publicly accessible / unauthenticated in an open directory on their web server, if you knew where to look. 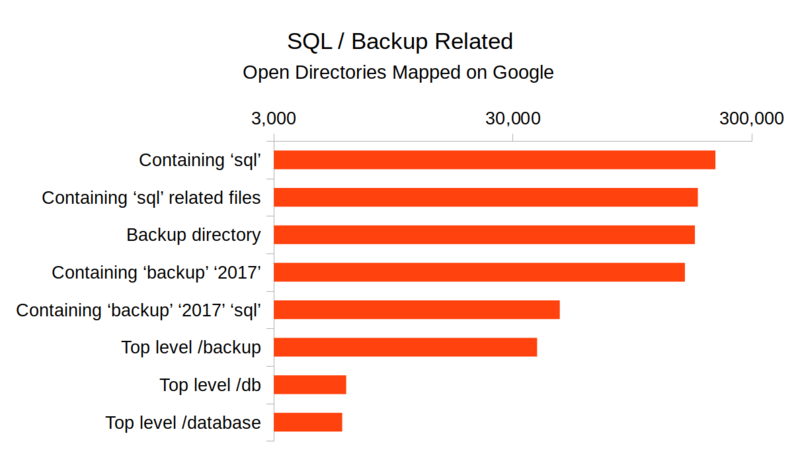 Lucky for them there was no evidence that this data had been accessed, but it made me curious to evaluate the extent of publicly accessible open directories on the web. I had an idea for a cartoon this morning and whipped this up. If people like it maybe I'll come up with some more! Let's Encrypt announced this week they will begin issuing wildcard SSL certificates starting January 2018, a feature many have been hoping would be added to the service for years. While many will be rejoicing, it may get a little harder locating scammers and phishers. While the vast majority of Let's Encrypt issued certificates are for legitimate domains, the service has become a sort of best practice for phishing campaigns. Why? SSL brings the illusion of trust to a URL. This has been compounded with most browsers indicating a site is "secure" in the URL bar, by merely serving a site up via https. Combine this with the fact that Let's Encrypt is a completely free service, and you have a breeding ground for scammers. One reliable method security researchers use to enumerate domain names (determine all sub-domains of a domain name) is to monitor SSL certificate issuance. The Certificate Transparency project makes this easy. The KRACK vulnerability publicly announced yesterday dropped like a bombshell, because the decade and a half old WPA2 protocol was not only thought to be secure, but the attack presented seems so obvious in retrospect. There is a lot of online coverage and one of the best summaries was written by security expert Bruce Schneier. I am skeptical that devices will be patched in a timely manner. Vendors had a head start to get patches ready before the public announcement, and while this is a rare time I will commend Microsoft, who patched the flaw ahead of public release, many vendors were left sitting on their hands. The Android ecosystem is particularly vulnerable to KRACK, due to the so-called null key issue. Google won't have an official patch available for a couple weeks (although the LineageOS team has it fixed), but my guess is the large majority of Android devices in the wild will never see that patch applied to their phone. Likewise, I don't have high hopes that my home FiOS router will be patched, considering that it's up-to-date with a firmware version over a year old. Something tells me KRACK isn't the only issue that may be lurking within the device. I never trusted that router anyway. KRACK underscores an important lesson. You can't trust your network. As soon as a packet leaves your computer or smartphone, assume always that it's being sniffed and manipulated. If not by your ISP, then by some compromised router deep on the internet, or perhaps now a couple hundred feet away from you by that wardriver cruising your neighborhood or corporate parking lot. Fortunately, you can protect yourself, with encryption. 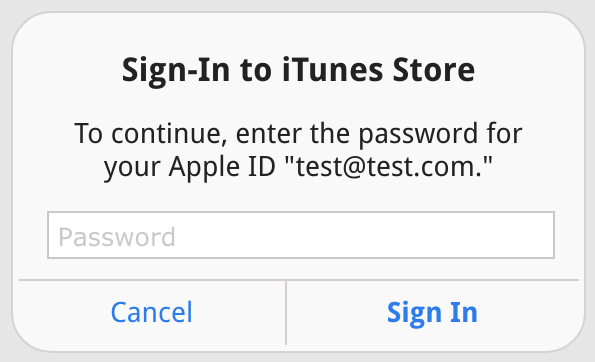 Earlier today I came across a post by iOS developer Felix Krause who demonstrated a phishing vector within iOS; whereby, the iTunes login modal can be easily imitated by a malicious app. In light of the recent data breach at Equifax I'm composing some thoughts in two posts. The first post discusses the weaknesses in employing partial security solutions. This second post discusses why organizations must employ offensive security to stay ahead. Hot off the Equifax news, last week we heard about a breach of the SEC EDGAR reporting system, and announced yesterday, Deloitte's private communications. Organizations must start to think like would be attackers. Offensive security is a school of thought, where a proactive approach is taken to computer security. When people typically think of security, the first thing that comes to mind are traditional/defensive approaches: e.g. patching systems, strong passwords, employing firewalls, etc. While defensive measures are essential, an offensive security approach focuses on penetration testing and thinking like an attacker, with a goal of finding weaknesses in your own organization's systems and software. In light of the recent data breaches at Equifax I'm composing some thoughts in two posts. This first post details how organizations often miss the mark securing data due to partial security solutions. As soon as news of the Equifax breaches hit the wire people were asking: How did this happen? All public accounts point to a vulnerability in the software package Apache Struts, that went unpatched in Equifax's systems for months. (Note that Apache Structs is different from the widely used Apache web server, although that distinction is meaningless for the purposes of this post). That sounds pretty damning, but I'm not going to speculate why a software package went unpatched. It should have been patched - and swiftly - but what if the flaw was a so-called 0-day exploit without a patch? Would Equifax still be held liable for such a massive breach? The answer should be a resounding yes! For the last couple years, I have extensively used Let's Encrypt to provide SSL certificates for websites I administer. I'm clearly not alone, as Let's Encrypt recently announced they have issued over 100 million SSL certificates. I'm a huge fan of their service, as I've always felt the CA (Certificate Authority) industry was a bit of a scam -- charging an arm and a leg for encryption certificates, for no other reason other than self-signed certificates are flagged as being 'unsafe' in most web browsers. Encryption is encryption, and a self signed cert is just as good as any in this respect (weak/flawed encryption algorithms/protocols notwithstanding). Let's Encrypt allows anyone to generate a certificate at no cost and install into their website with relative ease, and their goal of encrypting the entire internet is one I strongly support. Recently I started playing around with the ACME validation routine Let's Encrypt uses to verify domain ownership, suspecting that it may be abused to issue an SSL certificate to an attacker. Last weekend I was browsing the internet for radio circuits and came across an interesting design I've never seen before, nicknamed the Ten Minute Transmitter. The design apparently originated in 1996 in an amateur radio club QRP publication. 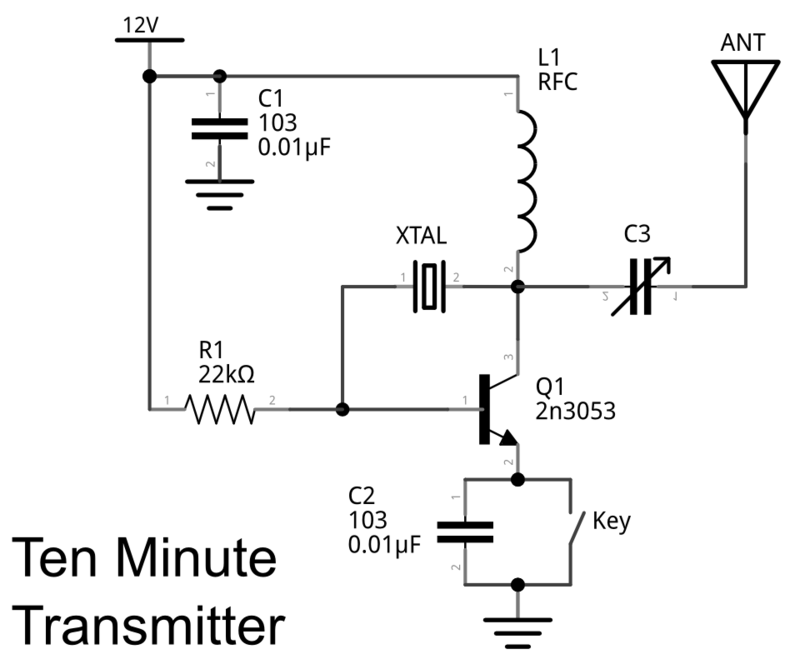 The name originates since the original author claimed he built this transmitter and make a QSO with it in just 10 minutes time. Impressive! I didn't set a stopwatch to time myself, but I can tell you that I was able to slap this rig together on a breadboard and tune it up very quickly. There are no coils to wind (unless you want to); it tunes a wide range of crystal frequencies, and it outputs an easy 500mW AM signal. I had three crystals on hand, and was able to load up frequencies 6925 kHz, 14322 kHz and 28266 kHz without problem. 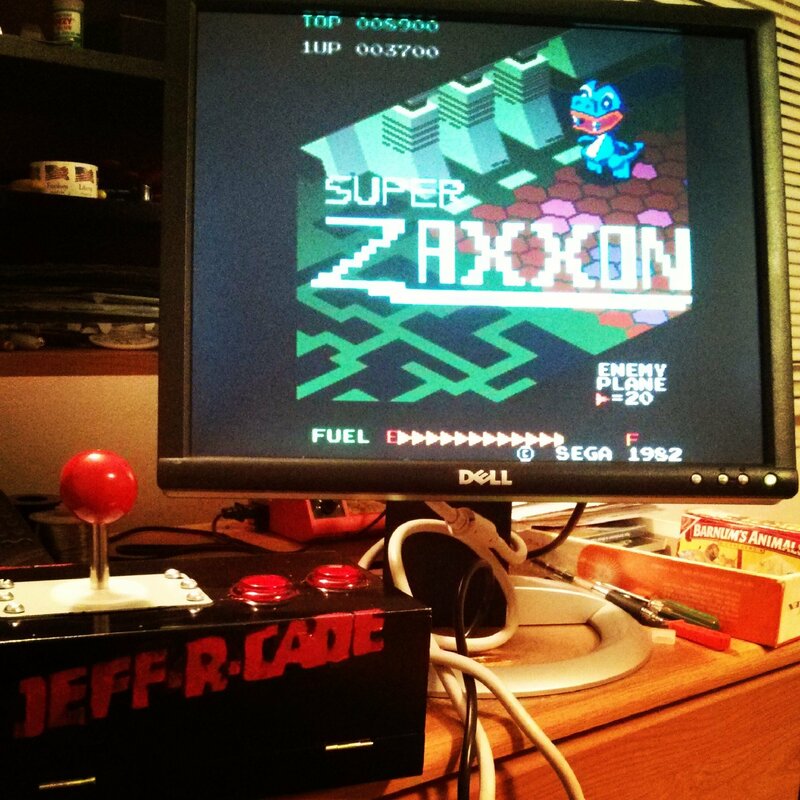 A few months ago I came across the project on Adafuit Retro Gaming with Raspberry Pi, and thought it would make the perfect gift for my brother-in-law. I finally got around to building it with a few tweaks of my own. 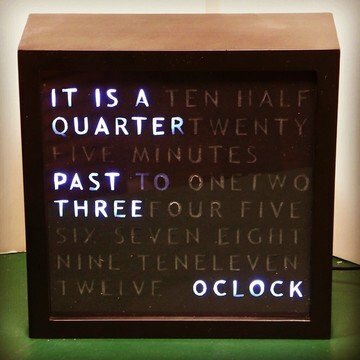 A few months ago I came across an interesting project, an Arduino Word Clock. If you aren't familiar with the term, it's basically a clock that tells you the time as a sentence instead of with digits. So instead of 10:30pm, it would say, it is half past ten. 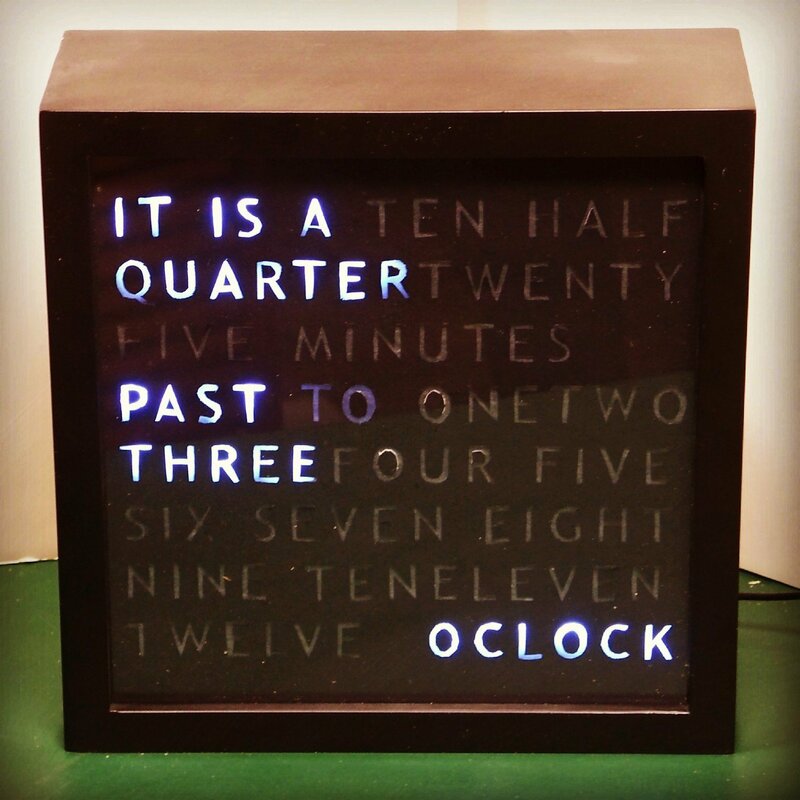 The reported time accuracy is within 5 minutes, which is good enough for a general clock / interesting piece of art. I decided to build one as a Christmas present for my dad. Although I read a few different designs on the web, I decided to take my own path and design my own. I encourage you to do the same; sometimes it's easier to do things the way you want to do them and look to others for inspiration, than follow instructions to the last detail. The general steps are: 1) Create the clock face, 2) Wire the lights, 3) Build the driver for the lights, 4) Add the clock, and 5) Final assembly. 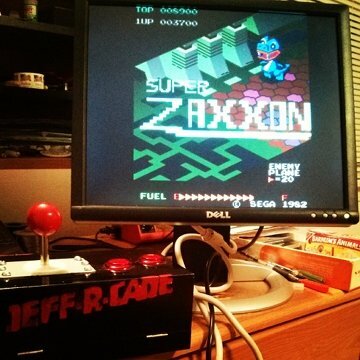 If you are interested in radio and hobby electronics be sure to check out my new website makeRF.com! Amateur radio and hobby electronics are two of my favorite hobbies, and am always looking to interest others in the art. I launched makeRF as a platform for my own self-directed learning, and to share my builds and experiments for others to try out. I aim to present topics in an accessible format so beginners can take a stab at the projects, but also include interesting detail for those with more expertise. If you read my last post, you saw my schematic on how to build a musical Arduino doorbell. After the doorbell was installed, I noticed that it rang by itself sometimes. Not often enough to be too annoying, but enough to think about correcting the issue at some point. I noticed it rang sometimes when a large appliance clicked on, like the dishwasher or central air, and even sometimes when getting a static shock on a light switch. My annoyance level went through the roof when a large thunderstorm rolled though one afternoon. During the fifteen minutes of thunder crashing, the doorbell rang by itself six times! So, what was happening, and how did I fix it? For the last year and a half I have been paying Verizon anywhere between $100 - $160 a month for a phone line and static DSL line into an office that I no longer occupy. I'm sure this sounds incredibly stupid, but the main reason I've kept paying is because the static IP hosted the main Kiddix development server and remote support server. I finally decided that this was too much money to be paying each month just to host these servers, so they got a new home. But, what to do with the phone number? Even though I use my cell phone as my primary business line, it's always been nice to have a second more public line, so I decided to try and keep the number.